Learning to read and write is a big task! Luckily, our children enter preschool and kindergarten already equipped with one of the most powerful teaching tools – their names! Children’s names are one the most important words in their lives. The first letters they learn are the letters in their names. Children’s phonological awareness of their names and their eagerness to read and write them provide powerful teaching opportunities. To help children learn how to recognize and write their name, and to introduce other phonological awareness activities, create a set of picture name cards by adding a picture of the children beside their name. These picture name cards can be used for multiple purposes. Use these cards to play games to help the children learn their own names and each other’s Pass out the cards, making sure that each child has a different child’s name card. Have the children find the child on their card, say their name and return the card to that child. Use the cards in transition times, such as calling the children to line up to go to Also, the children can use the cards to call each other’s names before they can actually read the print. Use the picture name cards for phonemic awareness activities. Use the children’s knowledge of each other’s spoken names while inviting them to listen for first or last sounds or to count syllables. Show each picture and have the children say the name and then break it into the sounds they They can count letters, compare the number of letters in their names with their friends’ names, etc. 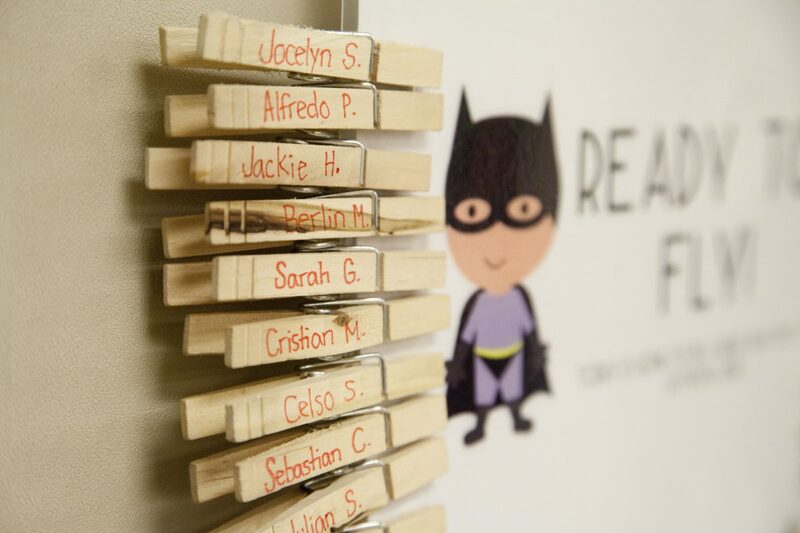 Store name cards in the ABC center near magnetic letters, and the children can use the letters to build the names. How else have you used picture name cards with your children?